The United States Department of Justice (DOJ) has filed a lawsuit against Quicken Loans, alleging that Quicken’s approval of inappropriate loans resulted in millions of dollars in loss to the government. Michigan-based Quicken Loans, the third-largest mortgage lender in the country, allegedly made hundreds of these loans from September 2007 until December 2011 through the Federal Housing Administration (FHA) program. The complaint alleges that Quicken disregarded FHA rules when approving loans. This suit is one of many recently filed by the DOJ under the False Claims Act against several of the nation’s largest lenders. The FHA is a United States Government Agency, which underwrites and insures loans made by private lenders for the purpose of home buying and building. The agency’s goal is to provide home financing to individuals who would normally be denied a loan from private lenders; the agency does so by insuring the loans made by private lenders, if an individual defaults on their mortgage the agency pays the lender for the loan. Lenders that participate in the program, like Quicken, are given the authority to originate loans for the program without review by the FHA. 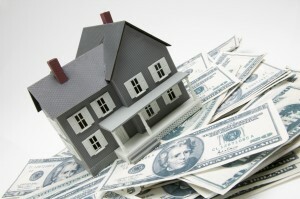 Participating Lenders are only required to certify that the loans meet FHA standards. The DOJ alleges that fraud occurred when Quicken knowingly approved, or caused to be approved, loans that violated FHA standards. When those loans later defaulted, Quicken was paid back by the government for the cost of the loans. The FHA has rigid requirements that must be met in order to obtain these loans, and it is alleged that Quicken encouraged employees to ignore requirements in order to increase the amount of approved borrowers. The suit claims that senior Quicken executives were aware of problems; an email sent by a Quicken Divisional Vice President states that 40 percent of loans approved with management exceptions, which broke FHA requirements, should not have been granted. The Justice Department further contends that Quicken lacked a program to identify inappropriate loans and that when deficient loans were found they were not reported. The complaint provides several specific examples of Quickens alleged fraudulent conduct. In one case a borrower was approved even though he had stopped paying unrelated bills and his credit scored had recently dropped by 100 points. The DOJ alleges that employees consistently altered factors used to determine a borrower’s credit worthiness; for example, one employee wrote that Quicken falsely raised a borrower’s income in order to meet FHA loan requirements. In another example, when borrowers wanted to receive more cash than that which the home was initially appraised for, Quicken employees worked with the appraiser to raise the value by an additional $5,000. In a striking example, a borrower requested that their $400 dollar mortgage application fee be refunded so that her family could be fed; this did not stop Quicken from later approving the loan. When that loan defaulted after only five payments, the government was left with the insurance payment of $94,000. Quicken allegedly issued hundreds of these ready to fail loans, and when they did inevitably fail, the government and the taxpayers were left to pick up the check. While other lenders such as SunTrust, U.S. Bank, Bank of America, and JPMorgan Chase quickly settled the False Claims Act suits brought against them, Quicken has filed a suit against the Justice Department. Quicken claims to be the victim of a “political agenda under which the DOJ is ‘investigating’ and pressuring large, high-profile lenders into paying nine-and 10-figure sums and publicly ‘admitting’ wrongdoing.” Quicken alleges that the Justice Department is choosing to bring these claims under the False Claims Act because of the Act’s unique allowance of triple damages, which also allow a whistleblower to receive up to 30 percent of the total damages. It is unclear whether Quicken will continue to pursue their suit against the government or reach a settlement with the Justice Department. The alleged fraud by the nation’s largest lenders shows just how necessary whistleblowers are to ensure mortgage lenders are held accountable when they attempt to defraud government programs. Lack of lender enforcement can create massive risk, as seen in the 2007 housing market crash. As shown here, a simple ‘fudging’ of numbers by employees can lead to substantial liability for large corporations.